Most Awkward Use of Gloria Estefan Song? Back in 1989, Gloria Estefan was pretty much on top of the world. She had a new lead single, “Get on Your Feet,” which would become the name of her forthcoming world tour (that tour was cut short by a near-fatal bus crash). The song rose to number 11 on the Billboard Hot 100. Since then, the song has been used sparingly, but extremely effectively, in pop culture. 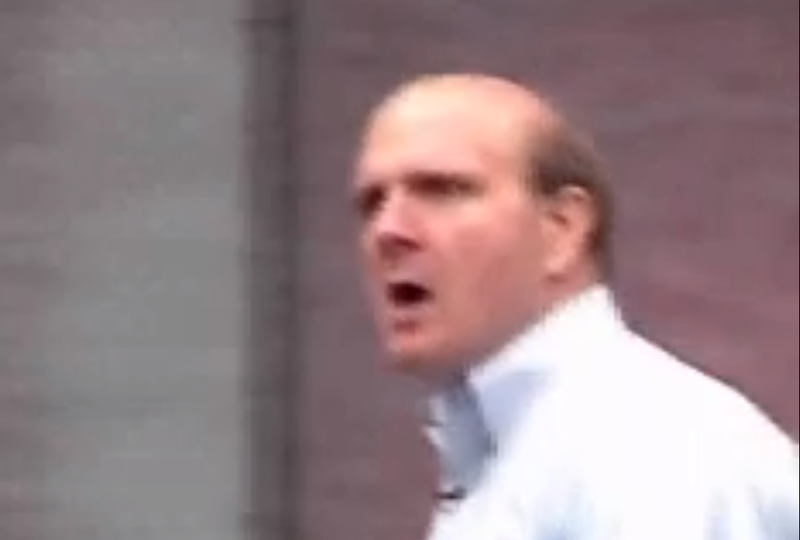 My vote for most awkward use has to come from Steve Ballmer, CEO of Microsoft, who went nuts to the song during his introduction at an internal employee-only pep rally back in 2001. This is the type of dance I do in my room when no one is watching. So that would be the pick for most awkward, but then Parks & Recreation used the song in this amazing bit. This is so awkward, but hilarious. Italian fashion company The United Colors of Benetton is no stranger to controversial ad campaigns, but the chain’s latest may have pushed the envelope too far. The ad campaign, called “Unhate” by Benetton, features world leaders kissing each other in an act of tolerance. Members of the Vatican, however, claim the ad featuring Pope Benedict XVI and Ahmed el Tayyeb, the imam of the Al-Azhar Mosque in Cairo, goes way too far. The church will take legal action to prevent the distribution of the image through mass media channels throughout the world. Earlier in the day, a large banner of the image appeared close to the Vatican in Rome. It was promptly removed. Garrett McNamara seems like a pretty big badass, but this video proves it. While participating in the ZON North Canyon Project in Praia do Norte, Nazaré, Portugal, a waverunner towed McNamara into a 90-foot rogue wave. There’s a more popular clip of McNamara doing it, but this video really gives a sense of just how big the wave actually was. Chivas star forward Marco Fabian was really excited after scoring a goal against Mexican rival Estudiantes Tecos last week. So, he celebrated by pretenting to shoot his teammate Alberto Medina in the head. Needless to say, in a country currently plagued by violent drug gangs and mass executions, the celebration was considered in very poor taste. Fabian’s goal put his team ahead 2-0. A soccer player in Colombia died after being shot in the head last week. Is this real? That was my first reaction upon seeing this political advertisement for the first time. A quick Internet search confirms that the man, Mark Block, is actually Herman Cain‘s chief campaign manager. The ad features Block quirkily touting the benefits of Cain and saying “We’ve run a campaign like nobody’s ever seen.” Definitely. Then, at the fourty second mark, Block takes a puff from a cigarette and the whole then ends with The Joker Cain creepily flashing a smile at the camera.